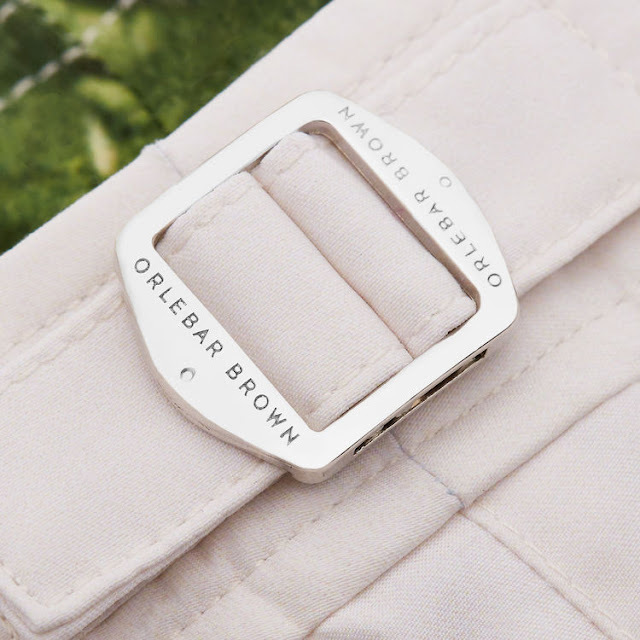 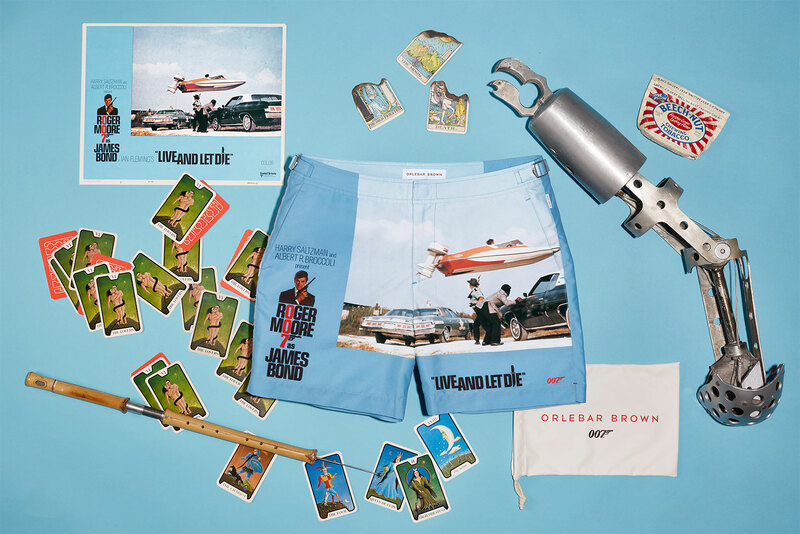 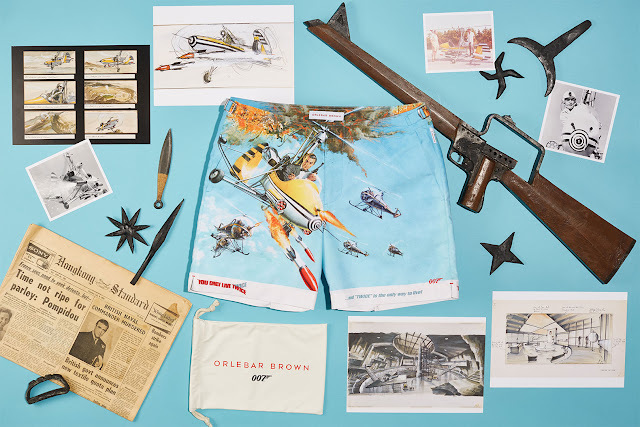 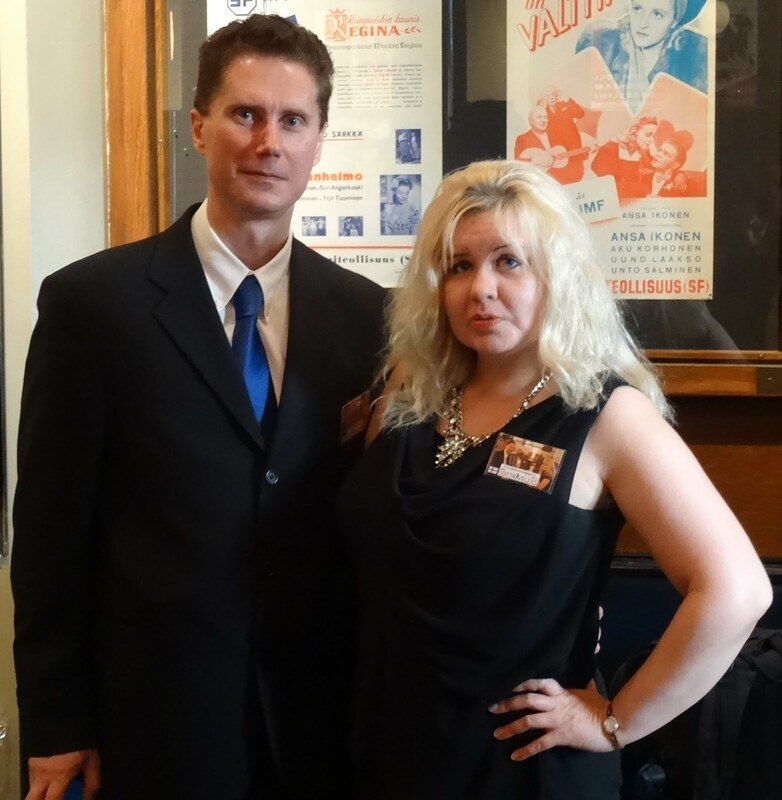 Orlebar Brown: Introducing the quintessential James Bond swim series! 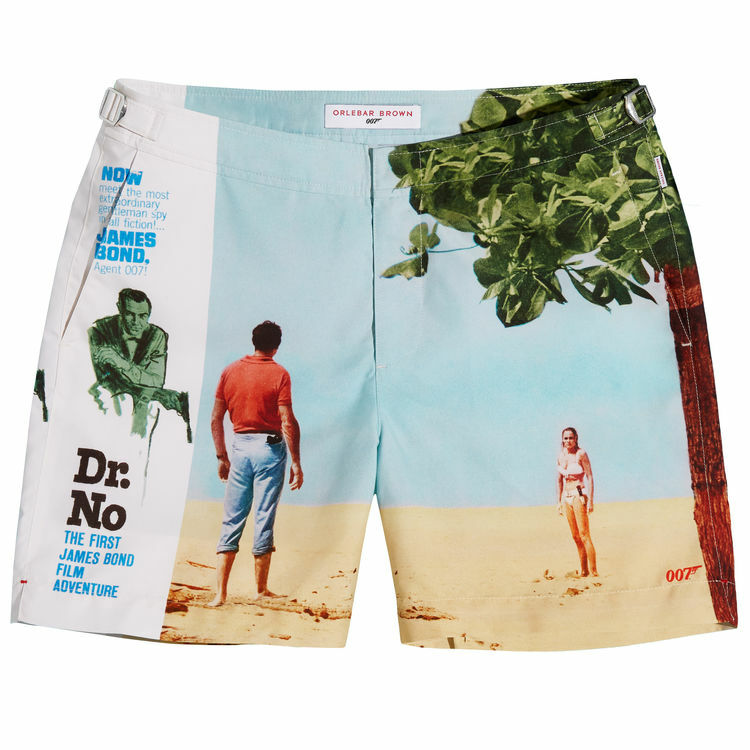 This iconic beach scene from the first Bond film Dr. No is sure to inspire you to seek similar sunny adventures. 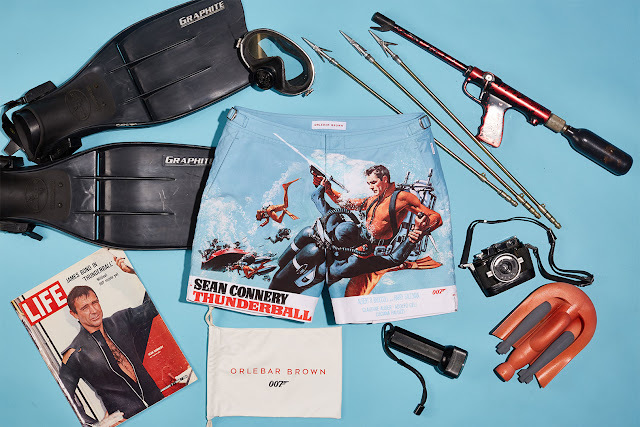 You might spot the difference between the film and image: the blue shirt Sean Connery wore was hand-tinted orange to create more eye-catching promotional lobby cards. 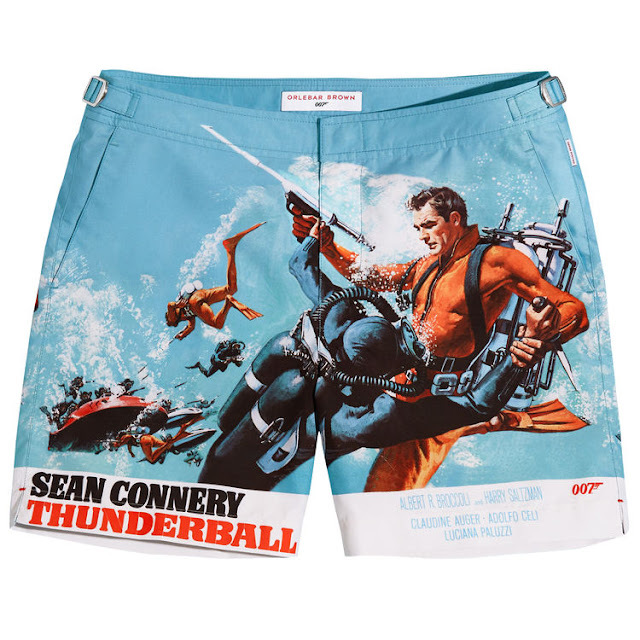 This illustration from the Thunderball film poster features Sean Connery as Bond fighting off a SPECTRE agent. 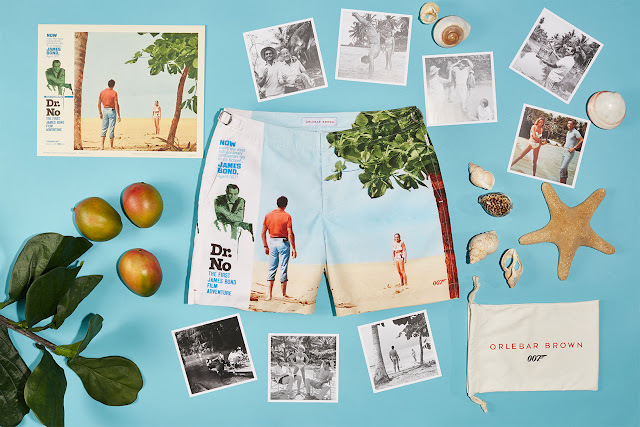 These underwater action scenes contributed to the film winning an Oscar for Best Visual Effects, and make for a perfect pair of swim shorts for all 007 enthusiasts. We've used artwork depicting a stylised Bond coolly piloting an autogyro while being pursued by SPECTRE helicopters for a striking pair of shorts. In typical style, he appears cool, calm and collected—so much so that his hands aren’t even touching the steering. 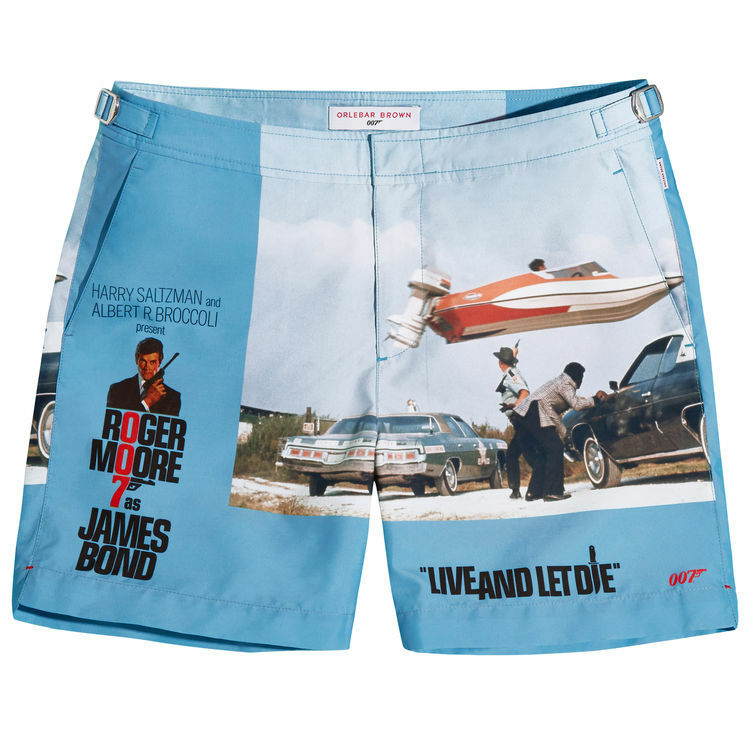 This memorable chase scene from Live And Let Die shows Bond using a Glastron GT150 speedboat to evade Dr. Kananga’s men, during which a world record was unintentionally set when the boat cleared 110 feet.